The idea of black metal musicians taking time out from their day jobs to make melodic, downright commercial rock music has always struck me as a kind of mad genius. After all, few people can listen to black metal non-stop without even an aural palette cleanser; why should the creators of black metal be any different? And given how the underground spirit of black metal clashes with the urgent need to make a living, why not at least do it making music rather than some office drudgery? So Audrey Horne, having had members of Enslaved, Sahg, and Gorgoroth in their ranks, make sense as a concept and are good enough at writing ear-catching tunes to earn themselves not just this reviewer's thumbs up, but a Norwegian Grammy award. Blackout, the band's sixth full-length since 2005, is more than solid, a throwback rock album as interested in the twin guitar harmonies of Thin Lizzy and Iron Maiden as the post-grunge template that seems to drive most radio rock. Enjoyably widdly guitar heroics are all over the place, often taking the deserved lead over vocalist Toschie's very good singing as on the title track, guitarists Arve Isdal and Thomas Tofthagen (who is also an architect, according to his Wikipedia page, which is an impressively full career) given plenty of space to show off - as long as it fits the song. Which is an under-appreciated facet of rock music, really. The best songs aren't those with the most flamboyant solos, but those where the band are working together as a unit to create something that sticks in the listeners' memories. And Audrey Horne are excellent songwriters - look at the groovy This One, driven by that almost stoner rock riff and the crooning vocals, and how limited the solo is in comparison to the previous title track, and to the following Midnight Man's punkier, more anthemic style. Each and every track here is well-crafted enough to be a single, yet none are what you'd call pop-rock despite the size of some choruses; the instrumentation really is given equal importance, leading to the likes of the melodic but still reasonably heavy Light Your Way chugging along like Deep Purple. You can tell that the bands are fans of classic rock, the likes of California and Rose Alley being virtual tributes to Thin Lizzy, while opening six-minute banger This is War is about as compelling of an NWOBHM update as you can get. The funky Queen-esque 80s percussion-and-synth-driven Satellite and the Maidenly Naysayer are two more choice cuts, but really there's not a weak song present. My only criticism is that Audrevolution's title is a bit naff, as it always is when bands start getting self-referential, but it's a terrific song and gives bassist Espen Lien (who played in the frustratingly one-off Trinacria) a little more to do. The lyrics are pretty bad too, but I'd forgive the Norwegians for worse when the songs are this good! 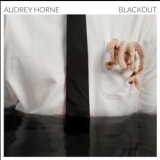 An excellent album full of foot-tappers, and a must-listen for fans of quality rock, Blackout is another set of killers from Audrey Horne.